Gambling has always been a leisure activity for people. It is important that when you choose to gamble, you understand that gambling comes with certain potentially serious risks. It is okay to gamble for fun, but when you are entering an online casino, it is just as important that you understand how to protect yourself from problem gambling; otherwise, you will lose out on all the fun and the money. What is problem gambling anyway? People with this think they will hit the jackpot one day even if they are seriously losing out on money. You should know something is wrong when your health, finances, and even relationships are taking an adverse turn because of it. This is the point where you draw a safe line between you and gambling. Here are some tips by Novomatic Casino that you can practice when trying to be a responsible gambler. Gambling Is Not a Profession and Definitely Not Any Way To Make Money Stop believing that every time you play, your deposit will be multiplied. That is how some people gamble; not with luck and intuition, but with time. And disappointment fuels that frustration and playing again and again makes you think you should be covering for your losses when you are in fact gambling your money. If you are not viewing it as a source of entertainment, you need to stop. Gamble With What Does Not Matter If You Lose With online video slots, you do not have to gamble with too much money. The best trick here is to use the money that you set aside for fun activities like watching a movie or money that you would use as tickets to a park. Never make the mistake of using the money that you have set aside for rent or utility bills. Do Not Chase The Ghost Of What You Lost What most people with the gambling problem do is that they chase their losses with even bigger bets in hopes of getting bigger returns. 8 out of 10 times this leads to bigger losses than what you started out with. So stop chasing what you lost, simply try out another game like live Roulette instead of the slots that you are stuck on. Set A Limit For Yourself It is has been suggested by several casinos themselves that players should always budget before they start playing. Here is how you set the limit; think of the amount of money that you can afford to lose before you start playing. When you lose that amount of money, then just simply quit. You need to set a time limit for yourself as well. When it comes to online casinos, you have access to the games 24/7. Make sure that you have ample time when it comes to gambling, but not too much that it starts interfering with other responsibilities you have or becomes an obsession. Set a time range, and when the time is up, sign out. This is one mistake that most people make. It starts with you signing into an online casino, believing that cash rewards are the way to feel uplifted, only to find that 10 minutes of playing and you are more upset than ever. Why is that? For starters, you are never able to make the right decision when you are feeling down. On top of that, losing once may be viewed by a depressed person as a bigger blow than it is, fuelling the negative emotion. In other words, do not risk feeling worse and being stuck with it in the form of a gambling habit. There is one more thing that you need to remember, losing and betting again and again does not mean you will not go down without a fight; it simply means it is not your day and you need to try your hand next time. This is definitely not something you should be upset over. If you are having trouble with setting limits to time and budget, then here is what you need to keep a track of. Make sure that you balance the activity of online gambling with that of spending time with the people around you, taking that class you always wanted to take, and making sure that gambling does not leave the bounds of your leisure time slot. It is important that you realize that at the end of the day, it is all about having fun and being rewarded for your game wins in monetary value. 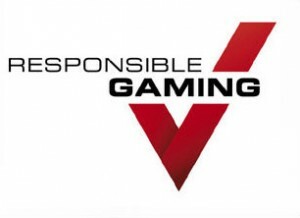 Novomatic games go by SSL terms and the company itself is regarded very secure and fair.